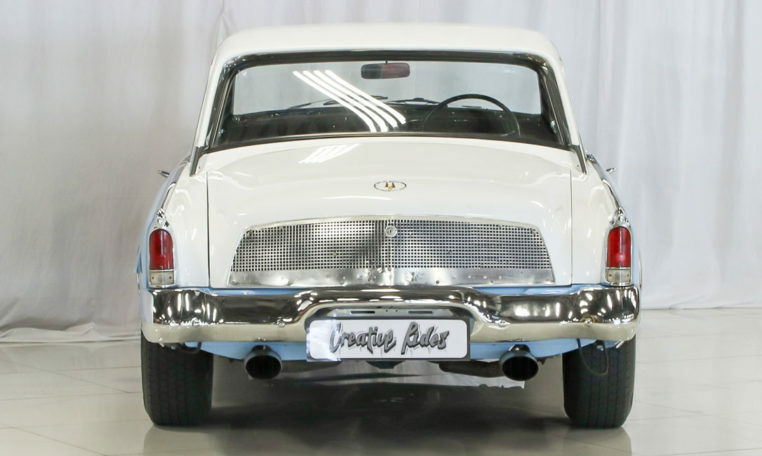 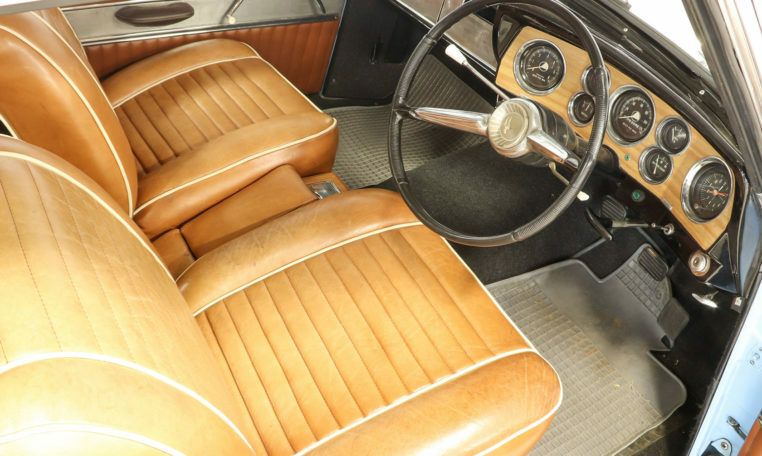 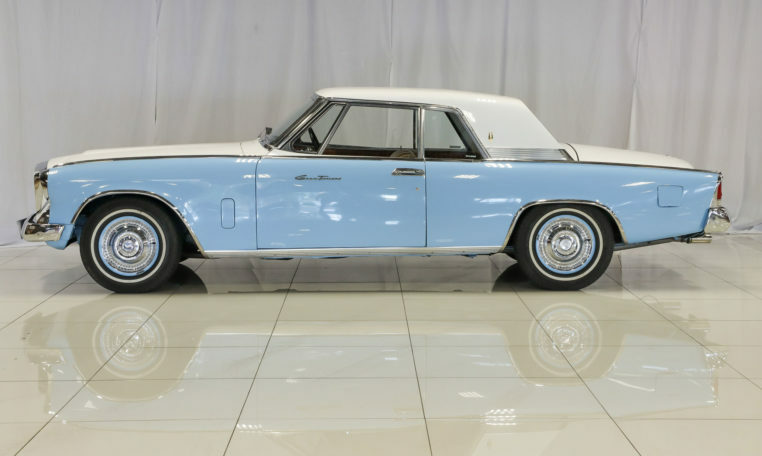 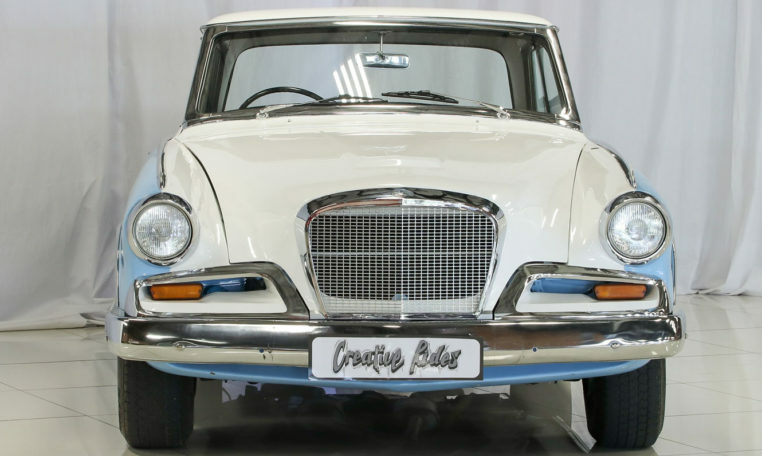 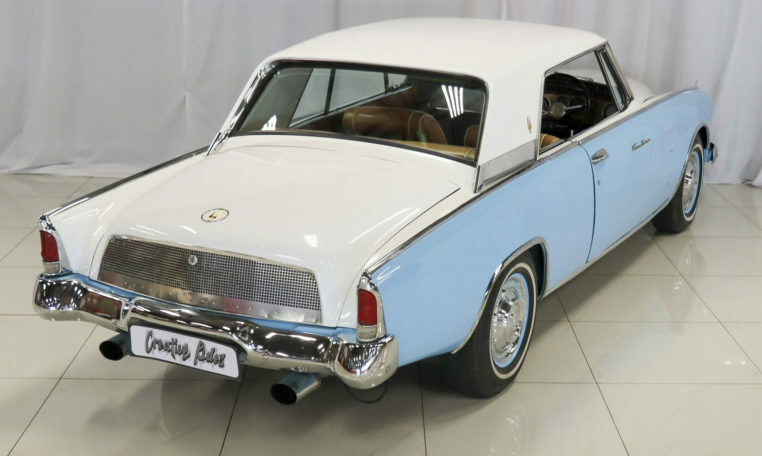 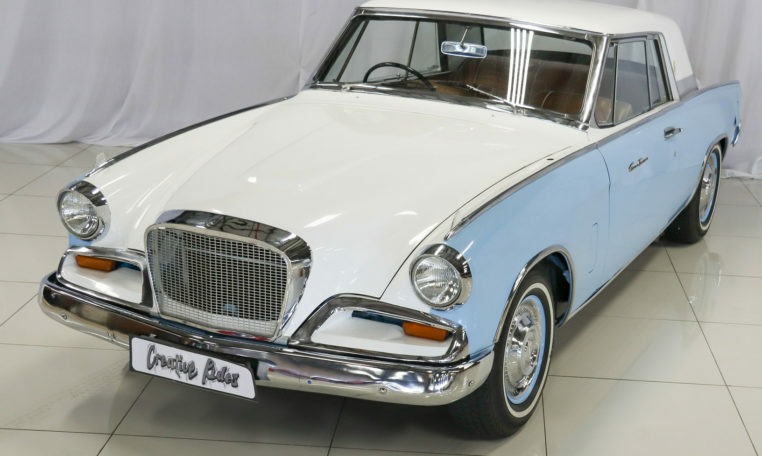 This 1962 Studebaker Gran Turismo Hawk is finished in two tone white and blue with tan vinyl upholstery. 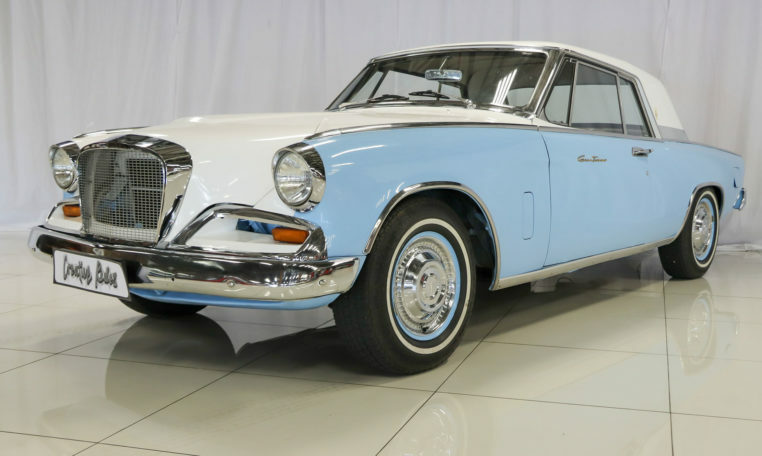 This Studebaker Gran Turismo Hawk (or GT Hawk) is a sporty coupe sold between 1962 and 1964. 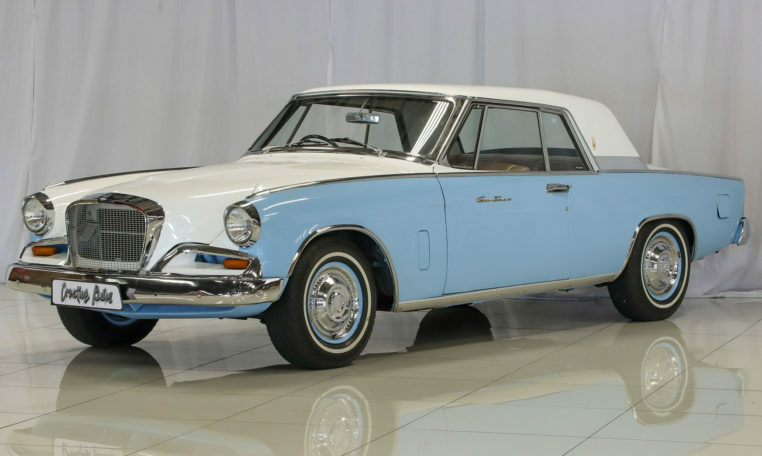 This was the final development of the Studebaker Hawk series that began with the Golden Hawk of 1956. 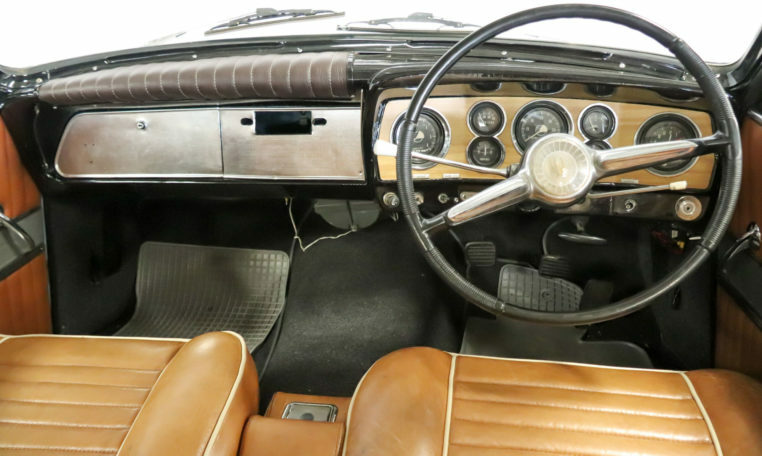 The GT Hawk’s styling was a fairly radical facelift by designer Brooks Stevens of the older Hawk shape. 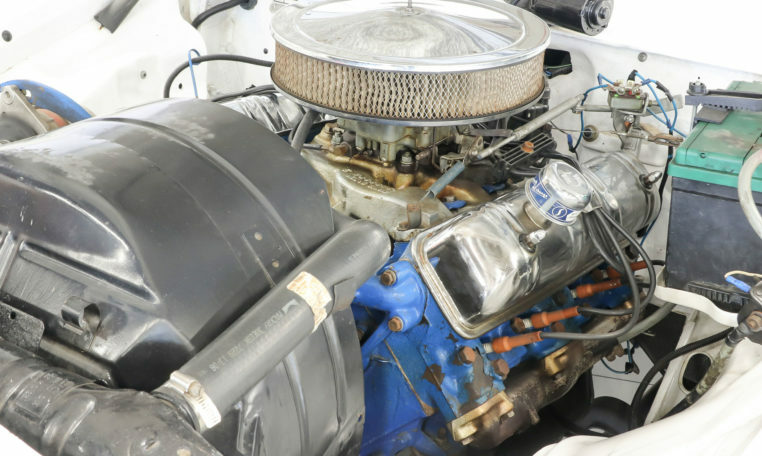 A Hawk buyer could choose from either 2 or 4 barrel carburettor versions of Studebaker’s 289 ci V8 engine. 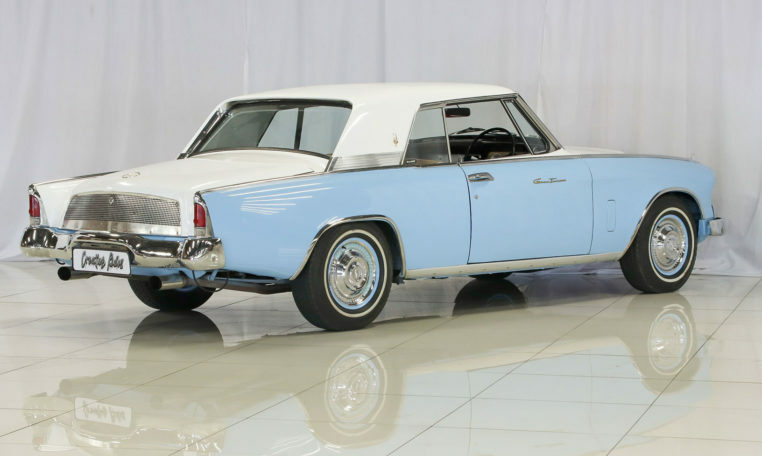 Studebaker’s limited use of custom-engineered parts has resulted in a wide availability of replacement parts. 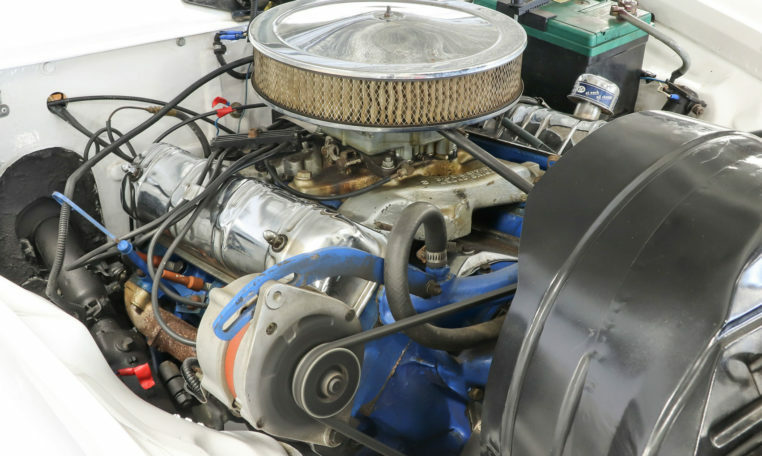 At over 3,000 pounds, the GT Hawk was a bit heavier than other cars of its class, its engine made it competitive. 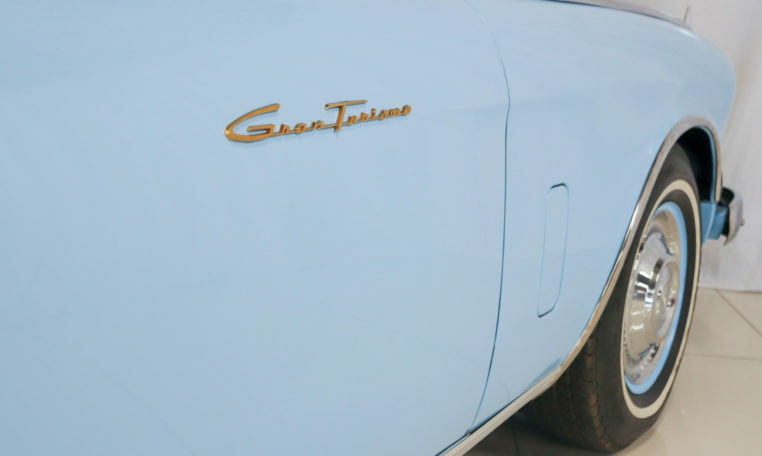 Today, the Gran Turismo Hawk is considered fairly collectable, its prices reflecting the car’s specialist interest.